Growing your email list is essential for any business. We know that. They are key assets for growing your following and increasing your sales. The bigger your list the better. And also, the better the relationship you have with your list the better too. One of the key marketing strategies on the web is to always make sure that you are keeping your customers constantly informed about what’s new with your business, and of course never letting a special offer or promotion pass them by. Growing your online presence means having an email list with a large number of high quality leads who have all agreed to receive regular emails from you. However, if you’ve been in the game for long enough then you will no doubt be rather acutely aware, getting people to sign up to list can be a lot harder than you perhaps originally thought. You will probably already be putting a little sign up on your website, quietly whispering “if you want to receive regular emails from us, then sign up here”. But, unfortunately that won’t quite do in today’s very competitive online content marketing space. So, here we’ve put together a short list of only the very best tips on how to capture more email leads so that you can continue to improve your business and your business relations going forward. So, let’s begin. It would be nice if everyone you politely asked to sign up to your email list complied with the readiness of a hungry puppy at dinner time. However, people want a little more persuasion these days. They need an incentive. Indeed, there are many reasons that people may become subscribers to your list, but this one tops them all. Whatever incentive it is that you choose to entice them with – a promotional code, free shipping on their first 5 orders or what have you – there is one thing that you also have to ensure, and that is that they get the incentive right away. It’s no good having your email subscribers have to wait six months for a free mug with your logo blazoned brashly on the side of it. This will only lead to more complaints than conversions, and you will start to gain a reputation for being cheap. So, give them something they can put to use immediately, and you’ll see your list growing steadily right from the start of your campaign. Don’t, whatever you do, make the schoolboy error of making the sign up process to your email list too complicated. And that means that, unfortunately, you cannot ask for the volumes of information that you might want. While of course it is true that the more information that you can get out of your subscribers the better, the main thing that you want to do is get them to subscribe in the first place. So, that means that you need to keep your form nice and simple if you don’t want it to be a deal-breaker. And it will be. People will happily bounce away to another site that is perhaps run by one of your direct competitors if they feel they can get the same information there without being mugged of theirs. Besides which, if you ask for their whole life history, then they will naturally become suspicious of you and even begin to think that their privacy is being invaded. So, just stick to the subscriber’s name and email address in the first instance, and then perhaps try and weasel out some more info from them at a later date. Well, only if you want to. Pop-ups are controversial little creations in the world of advertising and email capture. No matter how wonderful you make it, you ultimately won’t be able to escape the fact that pop-up boxes are intrusive. However, they are effective as well – otherwise no one would use them at all would they. No. The most irritating thing about pop-ups is when you can’t find the little cross to close it if don’t want to sign up. Now, I’m sure those marketers think that they’re being clever by hiding the thing in bottom right corner of the box rather than having it in the tope left where we expect it, but the fact is that if we think that we are being bullied or tricked into signing up for something, then we become understandably suspicious, and leave the site altogether never to return. So, don’t try and be ‘clever’ like this if you do plan to use a pop-up – fair enough if someone doesn’t want to sign up to your newsletter like this, but don’t scare them away from your site altogether. That’s just silly. Apart from being good advice for all walks of life, this little nugget is especially germane when it comes to the world of lead capturing. Even the word “subscribe” can be enough to put some people off, as it connotes a commitment that perhaps they are not ready to make. So, tweak it a little, and always try and reassure that they are getting something for free. “Click here for you free subscription” is better. If you are offering a free giveaway, like an eBook for example, in exchange for their subscription, then be sure to make this loud and clear on all of your page where you are asking people to subscribe. Got any more tips for capturing email leads? Let us know in the comments below. Thanks for sharing some valuable insights. 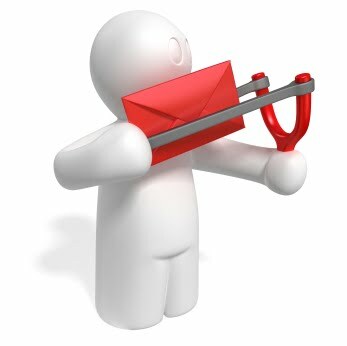 More often than not we have found the efforts after generating email leads to be very challenging. Nevertheless these points sets the foundation. Comes at a perfect time when we are exploring these tactics for our startup ContentPlum (www.contentplum.com). We have seen people sign up on their own. We also have pursued people and urged them to sign up. We have chased many freelancers to provide us with email leads. With the use of automated software. Or through manual efforts. Brute force or strategic moves. We have and are doing it all! The most important aspect we find is to provide users a solid reason. Without that, I think it’s hard to provide value to them.